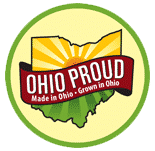 Bertman Ball Park Mustard was featured on NBC’s Today American Talk Show during their “Ohio’s Finest Food” segment, filmed on the patio of Pickwick & Frolic Cleveland, Ohio. A daily live broadcast provides current domestic and international news, weather reports and interviews with newsmakers from the worlds of politics, business, media, entertainment and sports. Additionally, specific segments such as Today’s Money, Today’s Kitchen and Today Throws a Wedding target specific lifestyle issues, and the show’s anchors frequently report on special themes from around the globe.